Safari tours in Kenya - How to pick the best safari tour operator? 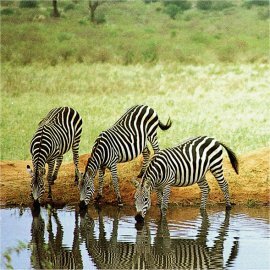 Lots and lots of companies offer safari tours in Kenya. How do you know which one is good? This page gives you the story. Most tour operators are based in Nairobi or the Mombasa area (including popular tourists destinations like Diani), and your safari will typically start there. There’s quite some competition among them. While most safari companies have websites and take online and phone bookings, it’s only advisable to do so with the upmarket companies with a long and stable track record. With the midrange and especially the budget companies, it’s better to fix arrangements on the spot. As soon as you’ll come of the airplane, you’ll be approached by dozens of street tout who’ll try to sell you a safari right on the spot. It’s best to avoid the temptation to sign up for “this great offer, only valid today”, and instead do some research, go by the offices of various companies, and ask around among other tourists who have already done their safari. Insist upon agreeing the details of your trip before departure, and don’t pay all your money up front. While even the reputable companies sometimes cause complaints, they will at least really take you out on a safari, rather than disappearing overnight with your money. But especially among the budget companies in Nairobi, there are some that should be avoided at all cost. Some of these budget companies try to cut their costs by entering the national parks illegally, dodging the fees, or by not maintaining their equipment, so you’ll lose a day in the middle of nowhere waiting for a tow truck. Others don’t even have their own equipment but hire it after they’ve secured enough bookings. It’s uncertain whether you get your money back if the deal goes wrong. Complaints about bad companies range from ignoring client requests and losing days because of badly maintained, broken vehicles, to outright rip offs and sexual harassment. To make sure those things won’t happen to you, Kenya-Advisor.com has compiled a special report on safari companies that get I've heard consistently good news from. While the above makes clear why I sadly cannot give guarantees, the companies mentioned in this report have the best track records. 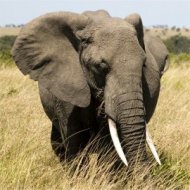 “Kenya-Advisor.com’s Special Report On Really Good Safari Companies” is available at no charge to subscribers of my free e-zine “Letters from Nairobi”. If you sign up below, you’ll get a password for the Subscribers Area where you can download this report, as well as several other bonus materials. Please note that Kenya-Advisor.com does not have any affiliation with these companies whatsoever.